The Indianapolis Colts had a good 2014 season. They made it into the playoffs proving how strong of a team they were. But, in case you haven’t heard – the Colts were the injured party to Deflategate, and lost to the Patriots in the AFC championship game. Let that live in the record books as it may. It’s safe to say the Colts rivalry with Patriots isn’t ending anytime soon. But, looking forward, they’ve got nothing but good intentions for this year. Here’s a look back at last year’s Colts. Last year, before the season started, you might remember the Colts were worried about Robert Mathis’ suspension, how our defensive line might suffer, and what the line would look like in the future without Mathis’ strong support. As a good chunk of the Colts roster ages, fans are nervous about the long-term success of the team. You might remember the hushed talks of worry from fans about how Reggie Wayne might perform given his age, and the age of the Colts muscles on the field. Nevertheless, the Colts tied for third best record in the AFC last year going 11-5. They didn’t have too many injured players as opposed to the year previous when we had a record 73 different players who rotated through. That lack of injuries gave the team a chance to work together for longer to find their rhythm. They did well, but not good enough for that trophy. The 2014 season gave fans a good look at the up and coming solid Colts players on the team. Wide receiver, Donte Moncrief looked good, and has a chance of more playing time this season.Herron, looked good as a running back. T.Y. Hilton continued to strut his stuff, and was named to his first Pro-Bowl. Tight ends Coby Fleener and Dwayne Allen both had add to the passing options for Andrew Luck. Luck took us to another round of the playoffs. He had to pull fewer fourth-quarter ‘comeback kid’ theatrics as previous years due to the team getting better and better. The season’s games might have been less thrilling for fans to watch, but better for people with heart problems who stress out. Again, the Patriots acted as the Colts magnifying glass highlighting all the cracks in our seemingly perfect wall of football excellence as they stopped their playoff run. The rivalry will undoubtedly only escalate this upcoming year. Regardless of deflategate though, the Colts defense just had no answer to the Patriots running game. Looking forward, the Colts have got a great year ahead of them with a more explosive offense. They’re looking to be a top team in the league and it will be interesting to see if our defensive line is up to the challenge. These Colts might look like the Colts of the old Payton years, with the high-scoring shoot outs of the early 2000s. Remember how fun those were to watch? With all the great offensive options the Colts will certainly be scoring some major points. 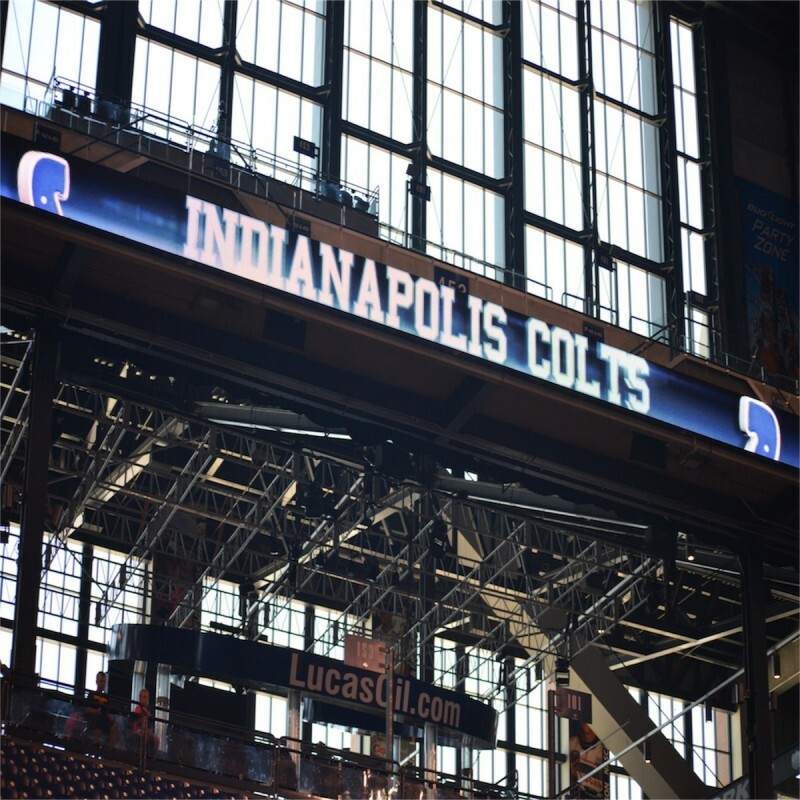 Fans will be eagerly watching the new players the Colts picked-up. All will have to wait and see if Ryan Grigson’s picks of Andre Johnson and Frank Gore fit in well with the Colts. Hopefully, they’ll shine with a solid team behind them. Personally, we’ll all be excited to watch these guys in action.